The 2016 presidential election forced a lot of Americans to look at their country a new way, and political maps are a helpful, revealing way to do just that. 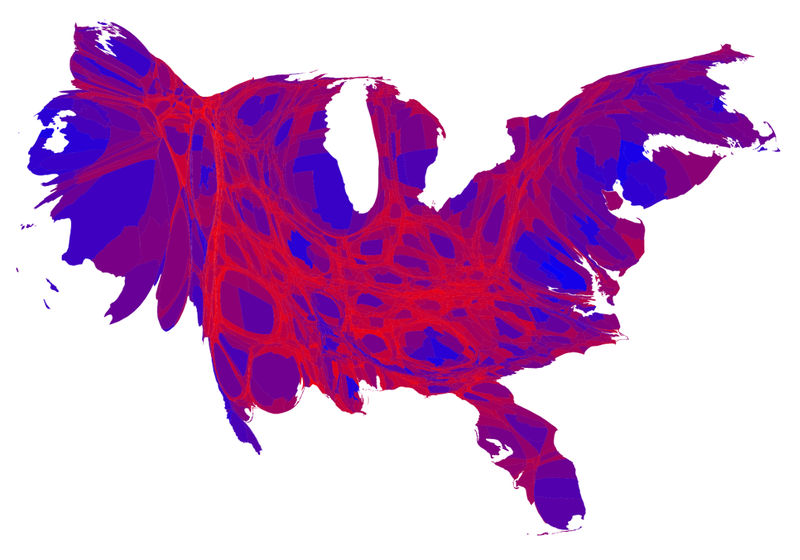 A new pair of cartograms reimagines America’s topography using data from this divisive election to literally divide the nation into two countries based on who voted for President-elect Donald Trump and who supported Hillary Clinton. The maps were created by Alex Egoshin, a Vivid Maps contributor who says “maps are like campfires — everyone gathers around them, because they allow people to understand complex issues at a glance, and find agreement about how to help the land.” Instead of showing actual mountain ranges or bodies of water, these maps create topographical features out of the percentage of voters who supported Trump or Clinton on Election Day, creating the new nations of TrumpLand or the Clinton Archipelago. That's a lot of the country. The maps help explain why Trump won the election despite Clinton nabbing the popular vote. Trump’s supporters cover much of the United States and therefore nabbed more electors; Clinton voters were in more populated cities whose influence was limited because they’re packed into smaller areas. America voted Trump, while more Americans voted Clinton, in other words. Egoshin’s thoughts about maps helping people understand complex issues make sense in this context. That’s why maps can change how people literally see the world, for example, or show how Trump’s America overlaps with where the opioid crisis affects the most people. The trick is not falling for pretty representations of faulty information. 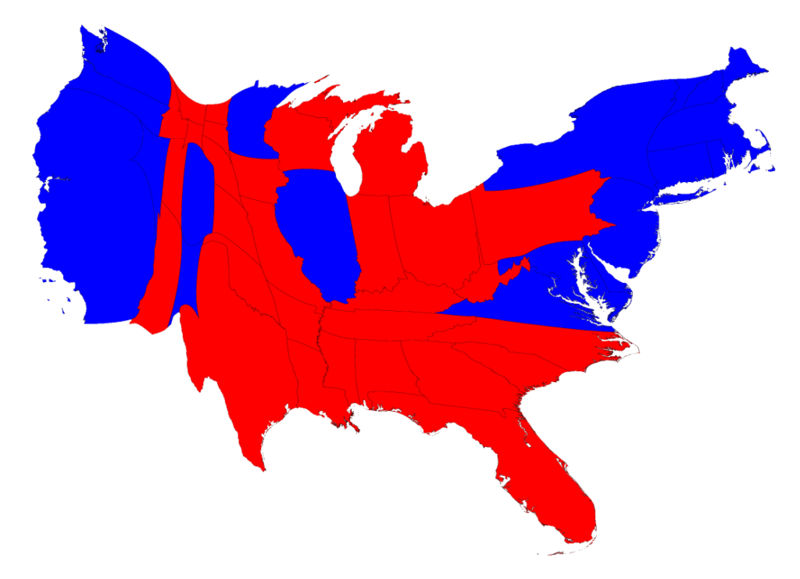 That happened when a map purporting to show what America would look like if only millennials voted was revealed to be a case study in how misinformation goes viral on the internet. TrumpLand and the Clinton Archipelago offer a more direct takeaway. They aren’t trying to show what would happen if particular votes weren’t counted; they just offer some perspective on American voters. Gone are the landmarks we know in favor of the blue “Tompkins Island” in the red upstate New York or the Trump-supporting California overlooked because of Clinton’s San Francisco. And it turns out that Trump’s America is a lot more familiar than you’d think.